200 hour Yoga Teacher Training In Rishikesh India gives you a solid foundation if you aspire to be a Yoga Teacher. If you just want to deepen your practice and understanding of yoga, it gives you confidence to work towards your own unique expression of yoga as you evolve in your practice. Standard 200 hour TTC of 3-week duration. Held at Ganga Campus. Extended 200 hour TTC of 4-week duration. Held at Abhayaranya. You will learn asanas and techniques that are traditional and have evolved over centuries in India. Through the study of anatomy and physiology, we will go deeper into the execution and alignment of asanas. By understanding the parts, you will start understanding the whole – gaining confidence in practising the asanas safely and with maximum benefit. Understand the philosophy of Yoga to transcend asanas and to understand the real purpose of Yoga. Focus on Pranayama, Mantras and Meditation to reach and experience the subtle aspects of Yoga practice. 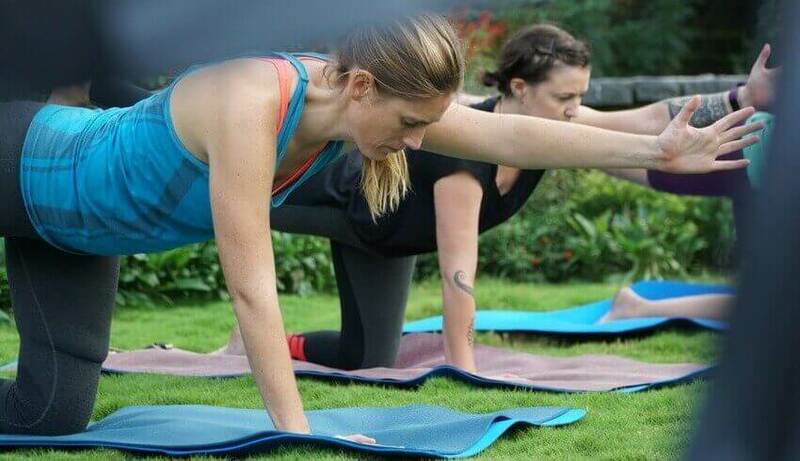 200-hour residential Hatha and Ashtanga Yoga Teacher training in India in 2019 registered with Yoga Alliance, USA & Abhayaranya - Rishikesh Yogpeeth - RYS 200, RYS 300. I have just completed 2 years since I took my 200 Hour Yoga Teacher Training at Rishikesh Yogpeeth (RYP). During this period I have taken numerous Yoga training including the 500 Hour Training, Yin yoga and Restorative yoga, at some renowned yoga institutions; but none seems to match the one that I had experienced at Rishikesh Yog Peeth. In fact it is the Rishikesh Yog Peeth's strong foundation that made it easy for all additional trainings and I have been comfortably teaching a variety of disciplines including yoga for arthritis, yoga for a healthy back, yoga for osteoporosis, yoga for seniors, yoga for stress relief etc. This comprehensive course will familiarize you with the basics of yoga philosophy. It will help you intensify and master yoga asanas. You will understand the effect of the asanas on the body through study of anatomy. Daily pranayama and meditation practice along with chanting will help you experience their strengthening and balancing properties. We will give you a taste of yogic discipline, diet and cleansing rituals. All this is designed to deepen your understanding of yoga and become a confident and a competent yoga teacher. » Cleansing techniques (Shat karma). » Study of asana: proper alignment, variations, modifications with ability to minimize the risk of injuries and Hands-on adjustments. » Art of sequencing and improvisation in the class. » Intelligent use of props to help improve practice at its early stages. » Postures with their Sanskrit Names and terminology. » Technique and practice of breathing (Pranayama). » Fundamentals of human anatomy and physiology. In keeping with the requirements of Yoga Alliance - USA, 200-hour TTC In Rishikesh program follows a tight schedule where almost each of the 6 to 7 training hours in the day are assigned to some aspect of yoga. You could find the training intensive but enlightening. Depending on the yoga school the mornings can begin as early as 5:30 a.m. with meditation followed by some yoga postures and maybe some classes or lectures in philosophy or anatomy. Chanting and pranayama are also part of the schedule. During training you are provided with two to three yoga meals, fruit refreshments and green tea. Daily written homework is also the norm as that is how you will gain in-depth knowledge of the subject. Sleeping early is encouraged as that is part of yogic practice. » Evaluation will be carried out only for those students who have a minimum of 90% attendance. The yoga certificate courses offered by Rishikesh Yogpeeth include 200, 300 and 500-hour TTC fully residential hatha yoga teacher training programs. Whether you have knowledge of this ancient practice or you are just a beginner; here at Rishikesh Yogpeeth you will be able to develop your understanding of yoga to such an extent that you will in turn be able to teach yoga professionally. Our graduates can register with Yoga Alliance (USA) as registered yoga teachers i.e. RYT 200 or RYT 500 as per their qualifications. »Rishikesh Yogapeeth adopts the ancient approach to yoga to inculcate in each student the wisdom that yoga manifests. Teaching and learning is therefore designed in such a way that ethical practices are ingrained automatically in the students at the Yog Peeth. » Maharishi Patanjali prescribed certain rules of how a person is expected to act in society (Yama) and how personal code and conduct (Niyama) is the expected and essential behavior for individuals to follow. We at the Yog Peeth expect this behavior terminology to be understood and practiced sincerely and honestly by all students to the best extent possible. » Modified exercises that go by the name of yoga are frowned upon by Rishikesh Yog Peeth and so only those students must apply for the course who are willing to commit to the strict regimen of the Peeth. » The Yoga Peeth does not make arrangements for guests of students. Any activity that is not related to the course is not permitted. » Before departure from the Peeth students must all dues and return all library books. All aspirants are advised to carefully consider the time and resources required for the course before forwarding the application for the teacher training course. The deposit submitted with the application is not refundable. However, in case of emergencies and other unavoidable exigencies the Yoga Peeth at its discretion permits students to go for any other scheduled course. We therefore recommend that all applicants carefully examine their upcoming obligations so that they may be able to devote their full attention to the teacher training program.